A chest of drawers is an essential piece of furniture for your bedroom. It gives you somewhere to store your clothes and accessories, as well as offering a surface to put things on. 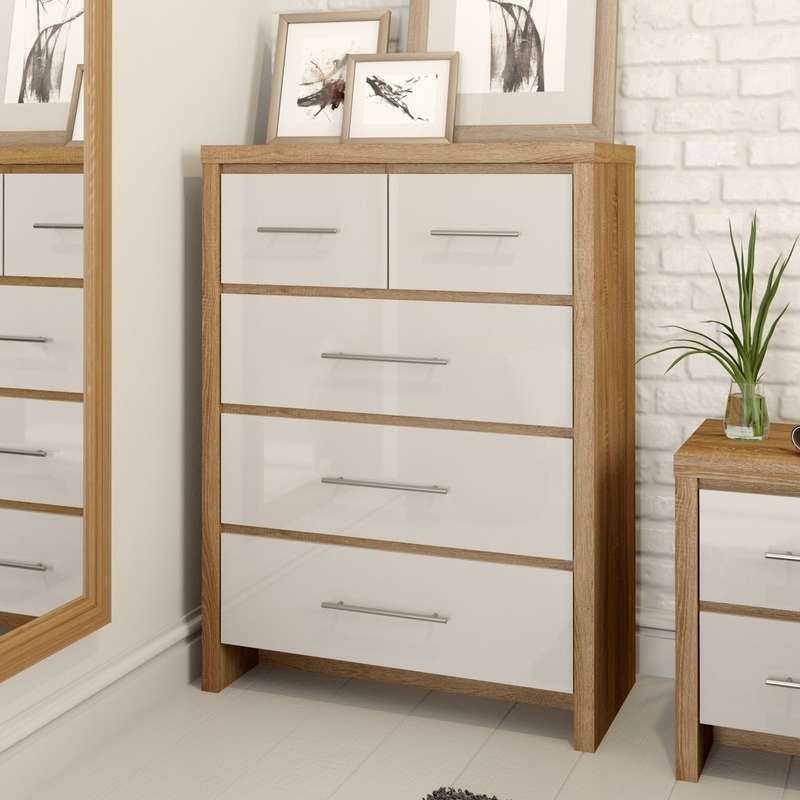 With so many different styles and sizes, it can be hard to tell which chest of drawers will be best for your bedroom. This guide will give you some easy to follow advice on what to consider when buying a chest of drawers and help you decide which style is right for you. 1. What size do I need? Before you decide on the style of your chest of drawers you need to consider what it will be used for. The best thing you can do is create a list of everything you wish to store in it, so you can visualise how much space you need. For example, if you wanted somewhere to store those thick Christmas jumpers, you will need deep and wide drawers, whereas if you wanted to store small socks, you may only need smaller, lightweight drawers. Most chests of drawers are easy to assemble and come flat packed, making them easy to store until you are ready to re-furnish your bedroom. However, some furniture comes pre-assembled and is ready for immediate use. What types of drawer chests are there? One of the most popular chests of drawers as it offers a lot of storage for little floor space. The tall boy is a chest of drawers, which like its name, stands tall off the ground. The idea behind this set of drawers is to offer as much storage as possible, so they usually come with 4+ drawers. If you like to watch television in bed, tall drawer chests can provide the perfect platform. With your screen in a higher position, you won’t have to sit up or crane your neck anymore. Some chests of drawers come with a handy vanity lid. The top of the chest of drawers opens to reveal a mirror on the under face of the lid. This is ideal for personal grooming and adds a neat bit of functionality to your chest of drawers. The 2 over 3 consists of 2 smaller drawers on the top row, and 3 larger drawers beneath. 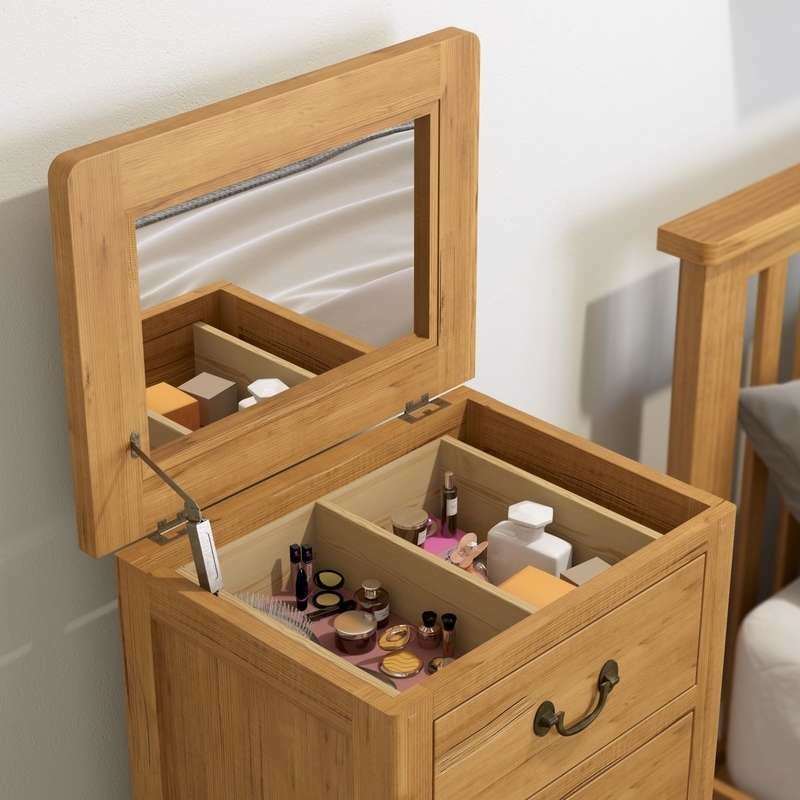 This allows a lot of room for storage while offering two compact drawers for accessories. This is ideal for keeping undergarments separate, for example. The 4 over 3 is a slightly larger version of the 2 Over 3. 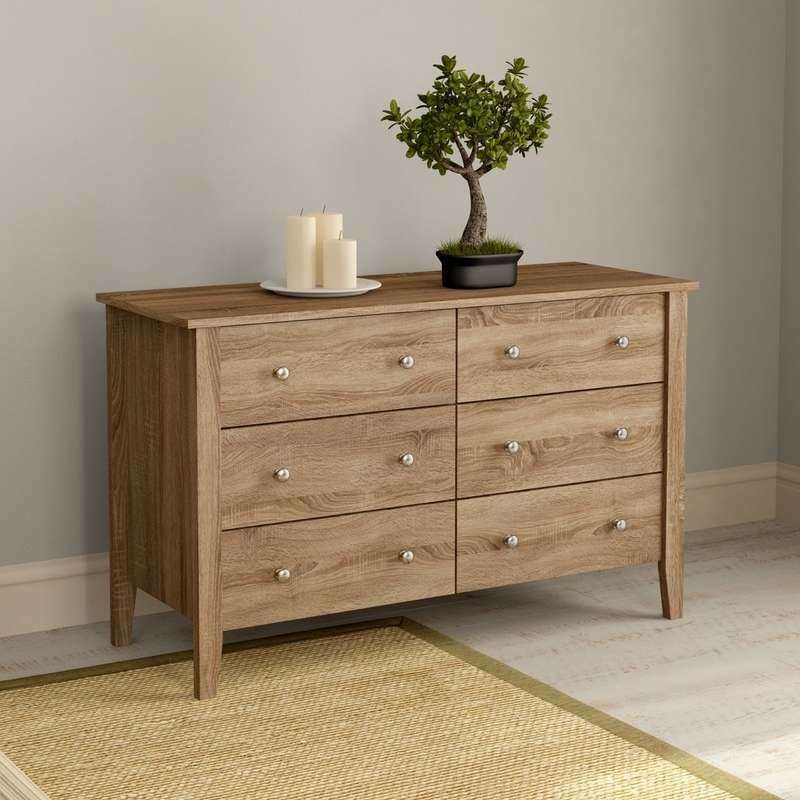 This allows plenty of room for storage with its 3 large bottom drawers, and plenty of room for segregating accessories in its smaller top 4 drawers. This type of drawer chest is very popular for family bedrooms. 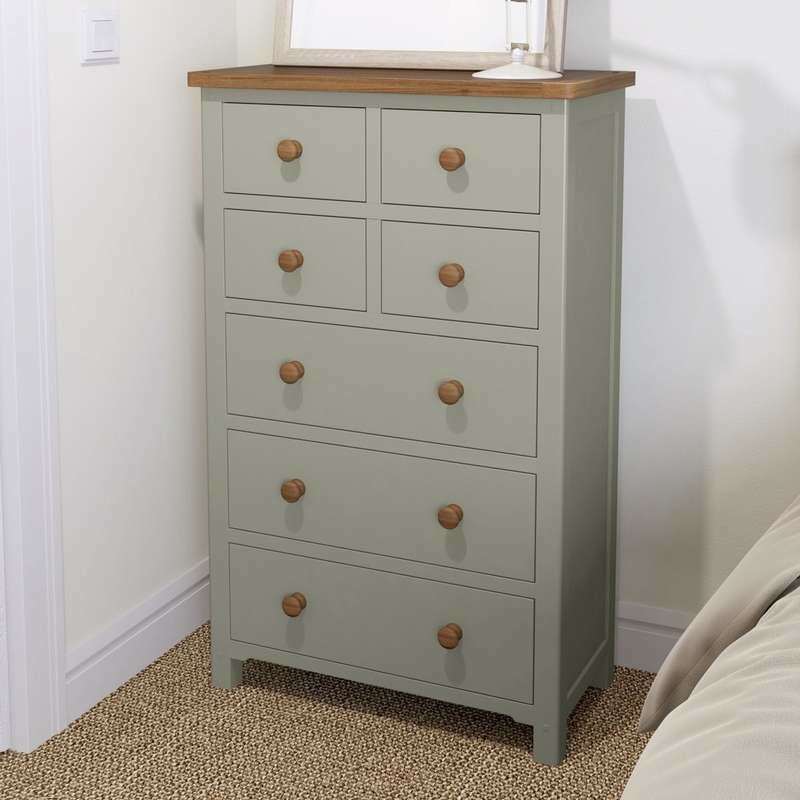 This is a low chest of drawers that offers plenty of room in its large deep drawers, as well as plenty of surface area upon the top of the chest. 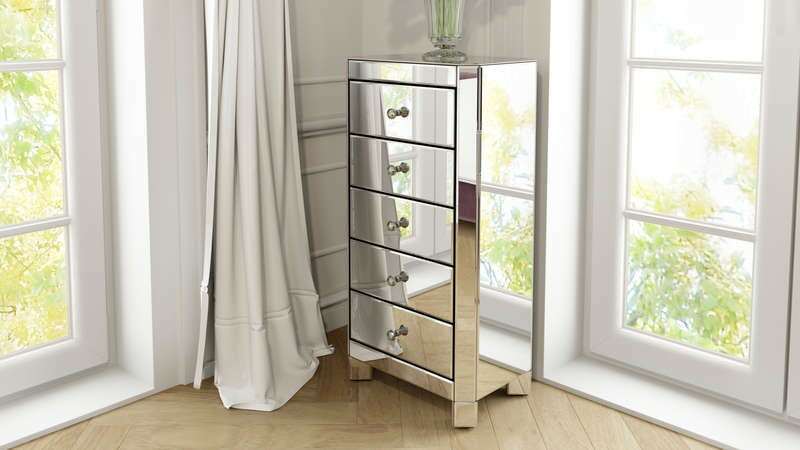 This chest of drawers can be used in combination with a mirror to create a vanity unit. Whatever you're after, there is a great range of styles and colours which will look fabulous in your bedroom. The first thing to consider when purchasing your chest of drawers is the material used in its construction. Whilst MDF and engineered wood will provide a perfectly good, durable build, in a range of beautiful finishes, you may wish to invest a little more in furniture that contains solid wood. Oak is a very popular choice when it comes to bedroom furniture, due to its rich colour and strength. If you don’t like oak, consider pine which looks stunning, with a lighter, natural-looking finish. If you want something completely different and unique take a look at mirrored glass drawer chests. 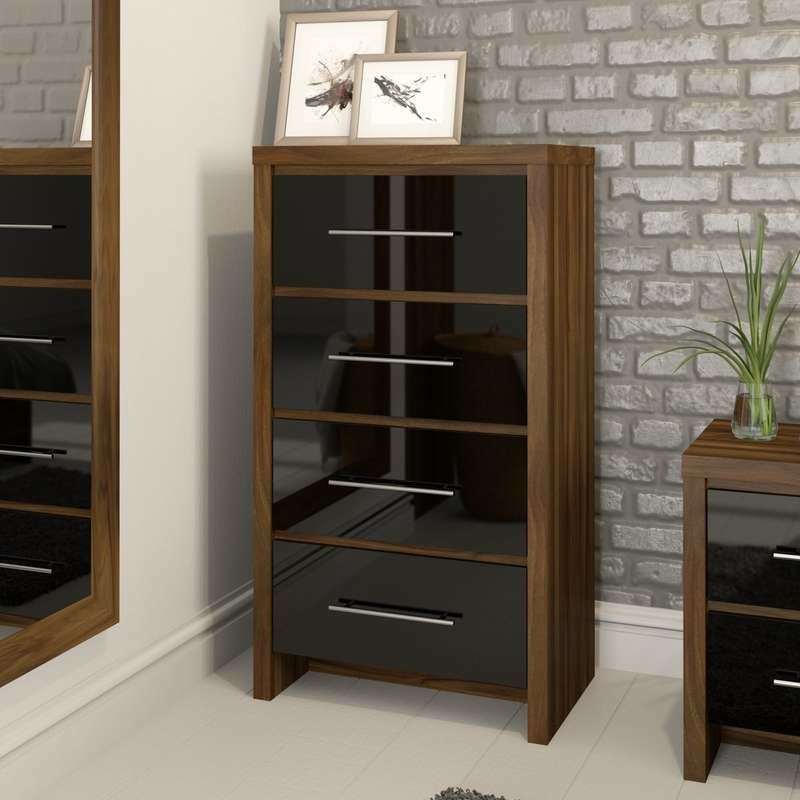 This finish will create a stylish feature in your bedroom, whilst adding a touch of glamour. As well as different materials, chests of drawers also come in a range of colours including black, grey, mirrored and the ever popular white. You’ll be sure to find the perfect style for your bedroom. No bedroom is complete without a set of bedside drawers. At the end of the day, you need somewhere to rest your book, mobile phone or maybe even a lamp. But with so many options, our handy buying guide will help you choose the right bedside cabinet for your needs. From your wardrobe to your chest of drawers, this handy bedroom furniture buying guide will "furnish" you with all the information and advice you need to make the right choices for your bedroom.